QR codes are easy to produce, resistant to damage, and can hold a considerable amount of data. But generally speaking, eating them has no practical purpose. Unfortunately the human digestive tract lacks the ability to interpret barcodes, 2D or otherwise. But thanks to the University of Copenhagen, that may soon change. A new paper featured in the International Journal of Pharmaceutics details research being done to print QR codes with ink that contains medicine. The mixture of medicines in the ink can be tailored to each individual patient, and the QR code itself can contain information about who the drugs were mixed for. With a standard QR reader application on their smartphone, nurses and care givers can scan the medicine itself and know they are giving it to the right person; cutting down the risk of giving patients the wrong medication. The process involves using a specialized inkjet printer to deposit the medicine-infused ink on a white edible substrate. 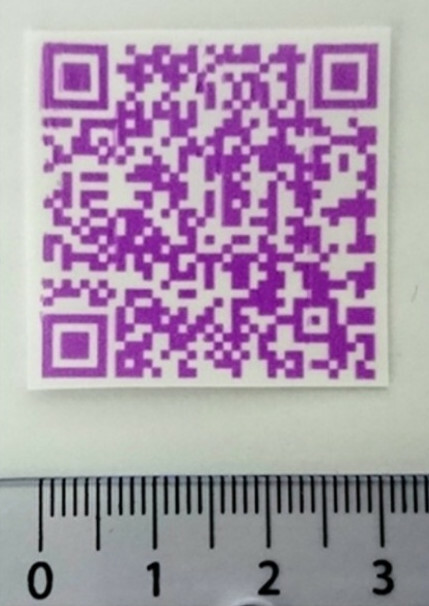 In testing, the substrate held up to rough handling and harsh conditions while still keeping the QR code legible; an important test if this technology is to make the leap from research laboratory to real-world hospitals. In the future the researchers hope the edible substrate can be produced and sent to medical centers, and that the medicinal ink itself will be printable on standard inkjet printers. If different medicines were loaded into the printer as different colors, it should even be possible to mix customized drug “cocktails” through software. Like many research projects it seems likely the real-world application of the technology won’t be as easy as the researchers hope, but it’s a fascinating take on the traditional method of dispersing medication. QR codes have long been a favorite of the hacker community. From recovering data from partial codes to using them to tunnel TCP/IP, we’ve seen our fair share of QR hacks over the years.